The online broker, Forex4You was established in 2007 and it is a subsidiary of E-Global Trade & Finance Group. The brokerage has its headquarters in the British Virgin Islands and this broker has FSC licence. Forex4You follows a mission that if focused solely on its clients and is designed to help traders make profitable trades. A unique thing about Forex4You is that they don’t focus on pushing their clients for making investments with higher risk. Rather they help traders gain more experience with low-risk investments. Beginning Forex traders would find Forex4You to be an easy way to start their Forex trading experience. Forex4You offers both the industry standard and latest trading platforms including MetaTrader 4 and MetaTrader 5. These two are the leading and most widely used trading platforms on the market and are extensively used by professional traders. MetaTrader offers a world of charting tools you would need for trading. It gives you the ability for creating unique trading strategies and robots, and offers instant execution times not found on other platforms. The user-friendly nature and flexibility of MetaTrader puts it ahead of other proprietary trading platforms, almost in all tests. 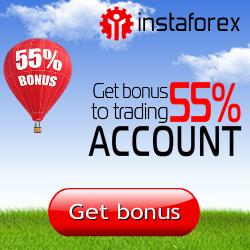 Forex4You offers 4 main types of accounts for traders. •	Demo Account – If you want to test the broker before you start investing your money, it would be best to choose the demo account. These accounts would give you the chance to trade on real price movements without the need to make a deposit. This account gives you the chance to try the platform and check if you can earn money using your strategy without putting your money at risk. •	Cent Account – If you are ready to put your money on the market, it would be best to sign-up for Forex4You’s Cent Account. It is mainly designed for starters and gives 3 levels based upon the deposit. The leverage varies between 1 to 10 and 1 to 500. Because you are allowed to trade in extremely small lots, it is possible to put an extremely small amount of your money on a trade. 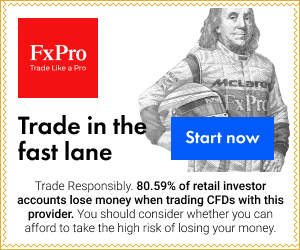 •	Classic Account – Forex4You offers it’s Classic Account with a deposit ranging between $1 and $1,000, and this account is ideal for regular traders. It offers you spreads starting from 2 pips. This account offers bigger lot sizes compared to the Cent Account. •	Pro Account – Forex4You offers the Pro Account for more experienced and professional traders. In this case, the deposit amount starts from $3,000 and the spreads begin from 0.8 pips. It offers a leverage of 1:100 and the execution times are the fastest.